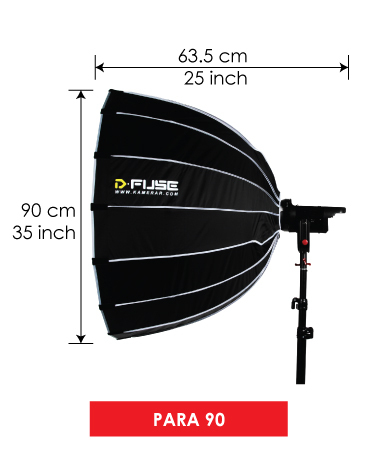 Each parabolic softbox is lined with a reflective silver material for maximum reflectance and optimum light output. 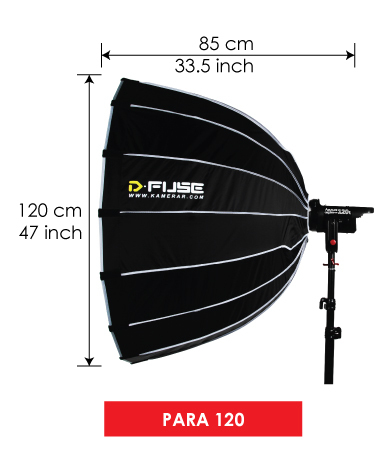 The D-Fuse Para Softbox is ideal for getting circular catchlights in the subject’s eye while providing a large, but soft light source. 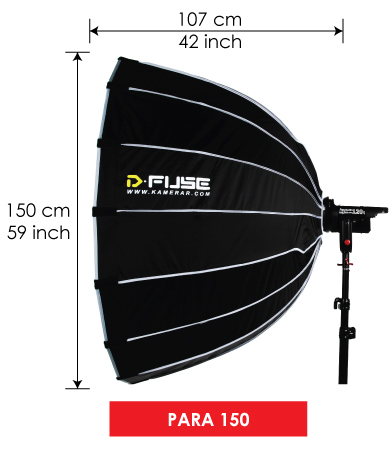 The D-Fuse line features three different sizes, including 35”, 47” and 59” parabolic softboxes. 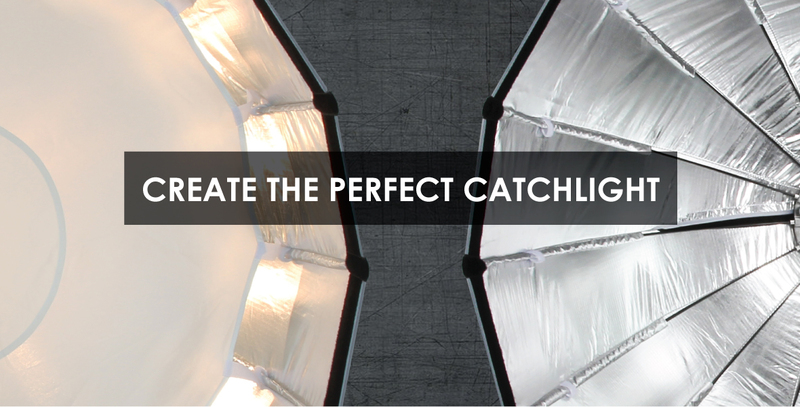 Choose the best size to better suit your lighting needs. 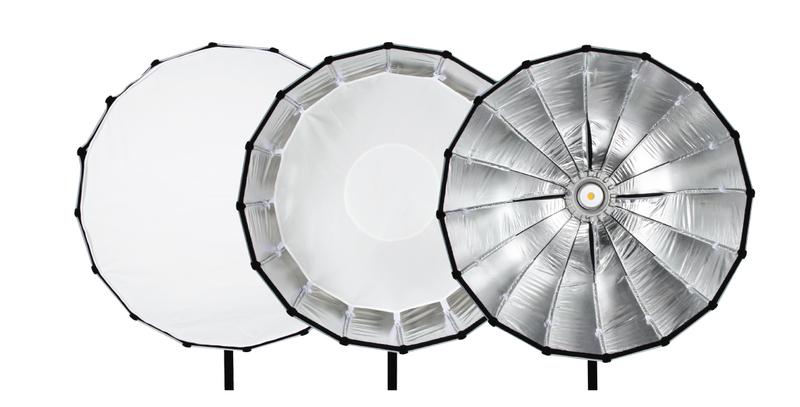 The two diffusion panels can be used individually, or in together, based on your lighting needs. 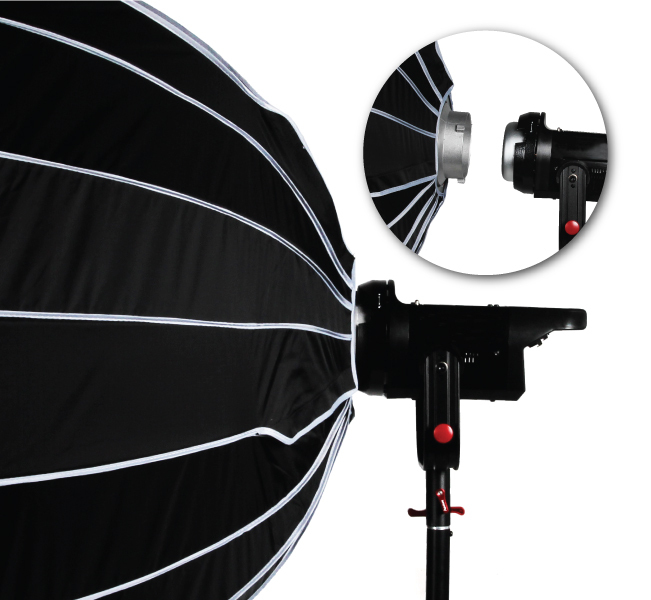 Get maximum diffusion by using both the inner and outer diffusion panels together. 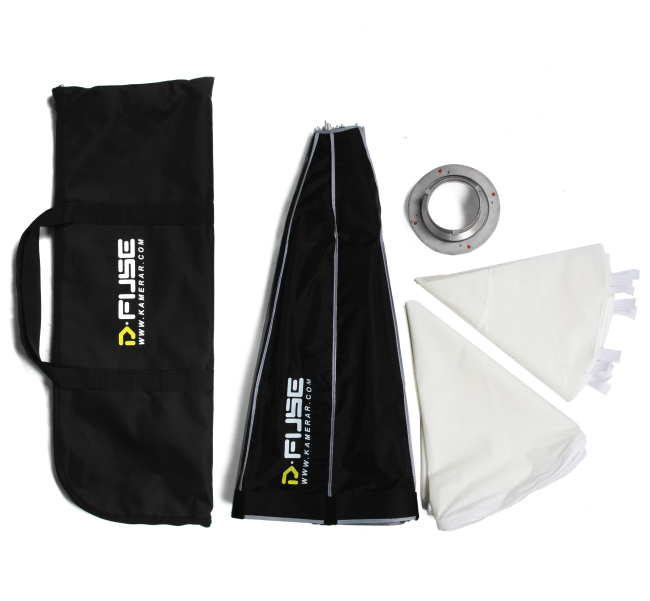 The diffusion panels can be attached to the velcro lining for quick and easy installation to the D-Fuse Para Softbox. 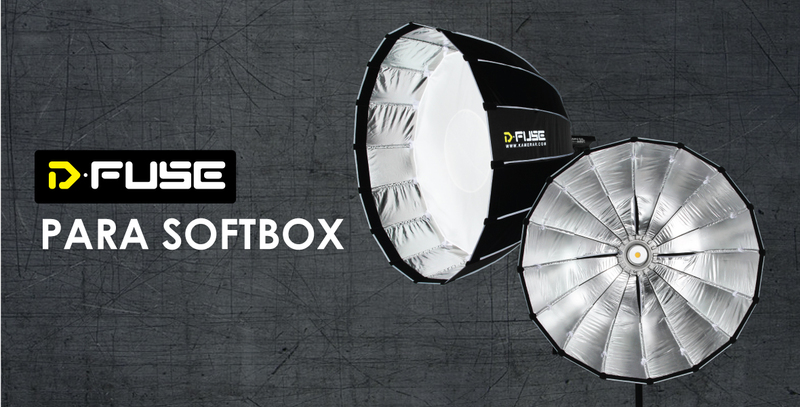 The softbox can also be used as a traditional light source without the diffusion panels.. 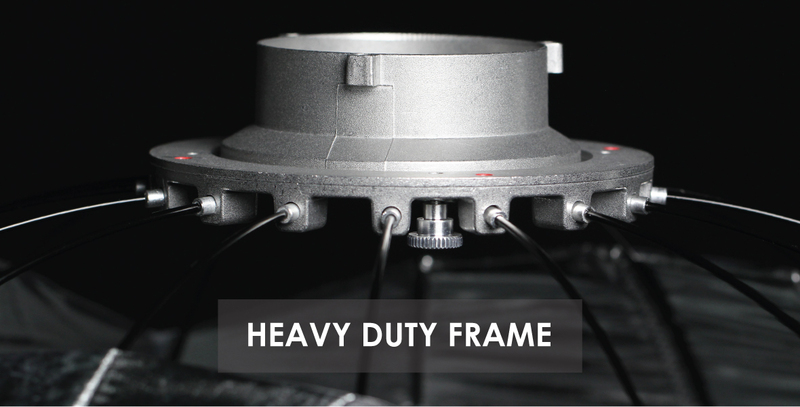 Supporting this large parabolic construction are 16 heavy-duty, heat resistant rods connected to an alloy Bowens mount. The durable rods and seams work together to maintain the parabolic shape.